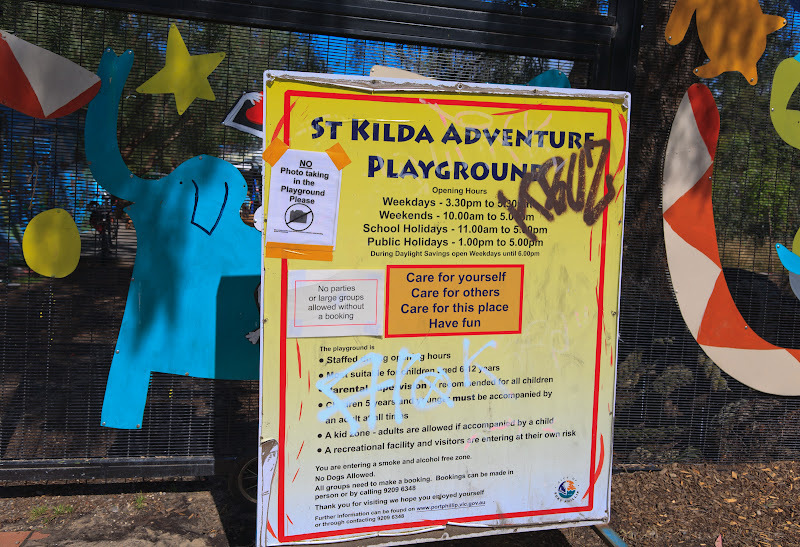 St Kilda Today: The "rule of law" at work in the City of Port Phillip. The small print says:"Due to being a public place with lots of children. Legislation states that taking photos is not allowed"
The "rule of law" at work in the City of Port Phillip. The small print says:"Due to being a public place with lots of children. Legislation states that taking photos is not allowed"